A week ago, chances are you'd never heard of Pokémon Go. Now, as I'm writing, it's poised to have more users than ten-year-old Twitter; by the time you read this, it almost certainly will have. As brand launches go, this one has already taken the trophy. Just to underline the phenomenon, after Pokémon Go was released last Wednesday, Nintendo – which co-owns Pokémon – saw its share price surge by almost 25%, adding $7.5bn to the company’s value. The game topped app charts in the US, where 5% of Android phone users are already estimated to have downloaded it, and fans are spending roughly twice as much time on Pokémon Go compared with Instagram and Snapchat. Brace yourself for the UK launch. In case you’ve read this far without having a clue what Pokémon Go is (where have you been? And, by the way, we’ve also got a new prime minister), you need to know that it’s an augmented-reality game, played on smartphones, that uses your device’s GPS and camera to overlay the Pokémon world on to the real world. 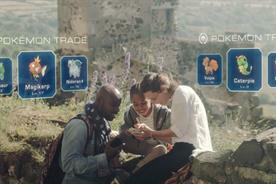 And there are already some key takeouts for marketers and agencies from the Pokémon Go story. 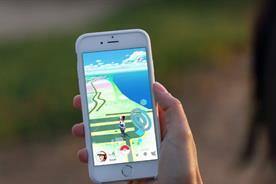 For a start, although there are (as yet) no obvious in-game platforms for other brands, many retailers in the US are discovering that their stores have become Pokémon Gyms and PokéStops, which means players need to physically visit the store to train their Pokémon or stock up on free accessories. OK, it’s pot luck whether your store has been selected by the coders – but if it has, then footfall will undoubtedly increase and retailers had better be ready to take advantage. Perhaps the keenest lesson from the Pokémon Go launch is the shift from destination to distribution that all brands now face. In a bid to protect its console business, Nintendo had for too long resisted embracing the mobile gaming trend, protecting its own destination rather than distributing its brands where the audience is gathering. 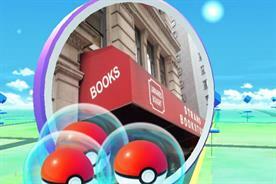 Yet sales of its consoles have slowed as gamers move online and on to portable devices. 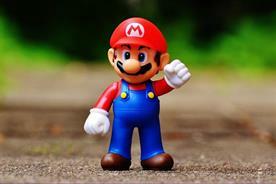 Nintendo is belatedly acknowledging that brands need to be portable, seeking out consumers and transacting with them in places beyond their owned platform/console/website. For most legacy destination businesses, this is a painful shift; but if it’s one that your brand is still struggling with, then get a move on. 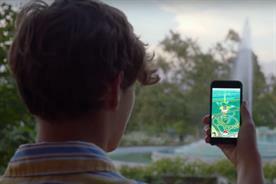 Whether the launch of Pokémon Go represents a watershed in the adoption of AR by brands is another matter. It might be a natural progression for a gaming brand but AR experiments by other brands have the tang of gimmickry (pages 6 and 27). Yet it’s the nature of overeager marketers and agencies, keen to be seen to be leading the way, that AR will now be presented in boardrooms across the country as the next big thing to bet your marketing budget on. You have been warned.